Doing daily tasks. Mobility is important because this allows us to freely and easily do our day-to-day activities like bathing and grooming. However, one’s mobility can be affected due to aging. Because of this, seniors can no longer move from a distant place or even carry out a simple task like dressing. Taking medication. Proper medication is essential to keep us healthy. It is used to cure our current health condition or disease. Despite that, aging makes it a problem for individuals to take their medication. As we get old, we often experience mild forgetfulness or serious memory problems like Alzheimer’s disease. Because of that, elders often fail to remember to take their prescribed medications. Eating a well-balanced meal. Another factor that affects one’s overall well-being is good nutrition. What we put in our stomach greatly contributes to our health. Given that, eating the right types of food is paramount. 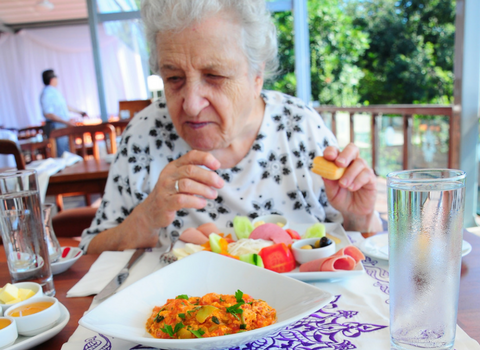 Even so, our appetite can be affected, especially when we get old because of the eating disorders we may experience. Which is why the elderly experiences nutrition problems. This only goes to show that as we age, we are in need of assistance from others for us to achieve a more comfortable and easy life. If your loved ones are suffering from the above-mentioned needs, then it is time to seek help from an in-home care agency to improve their quality of life. With an in-home care, your loved ones will easily achieve their daily tasks, take their medications on time, and eat a well-balanced diet. Lowenhill Home Care Services has been considered as one of the leading non-medical in-home care service providers in Aliquippa, PA. For years, we have provided countless families in the community with the highest standard of services. With our highly skilled and trained caregivers, you and your loved one will receive the finest care at the comforts of your own home. With us, your safety, comfortability, and convenience are of primary importance. Our in-home care services include skin care, spiritual care, and more. To learn more about our services, please feel free to give us a call at 724-788-1072 or email us at barb@lowenhill.com anytime. Our staff will be more than happy to assist you today!